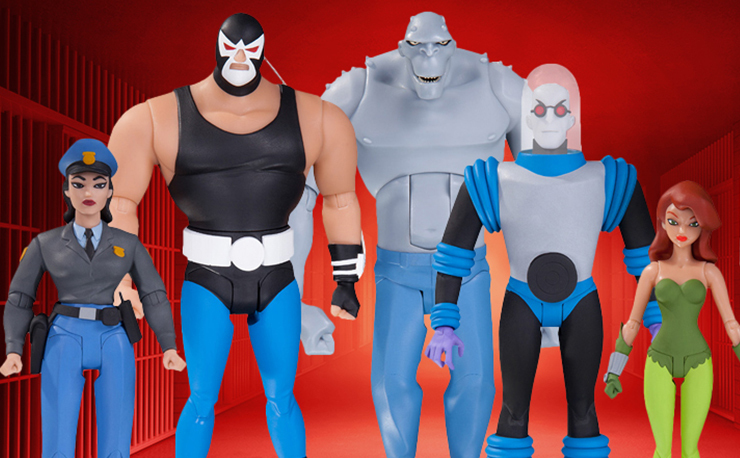 One of the most celebrated shows amongst DC and Batman fans alike, Batman: The Animated Series has influenced DC’s animated shows and movies for over a decade. 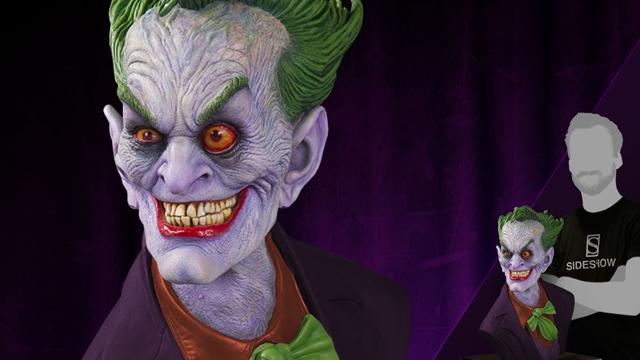 With Paul Dini’s memorable character designs at the forefront, the show is still talked about to this day. 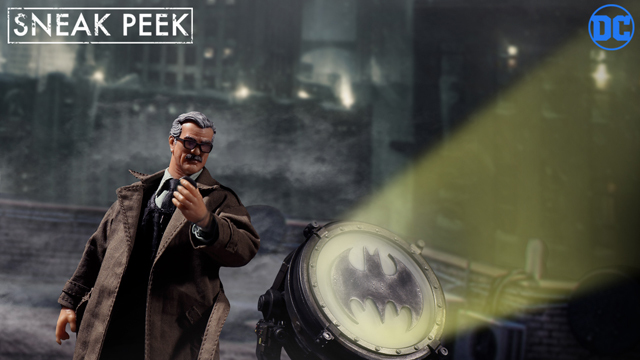 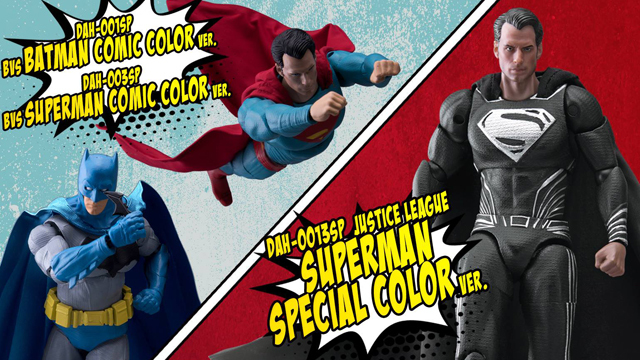 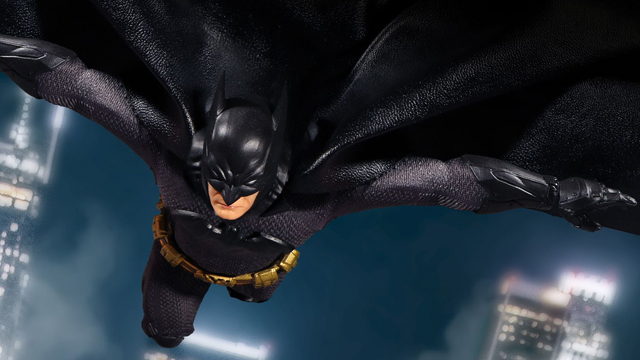 DC Collectibles knows all about the love for the show, and have bundled five of their figures into one awesome package. 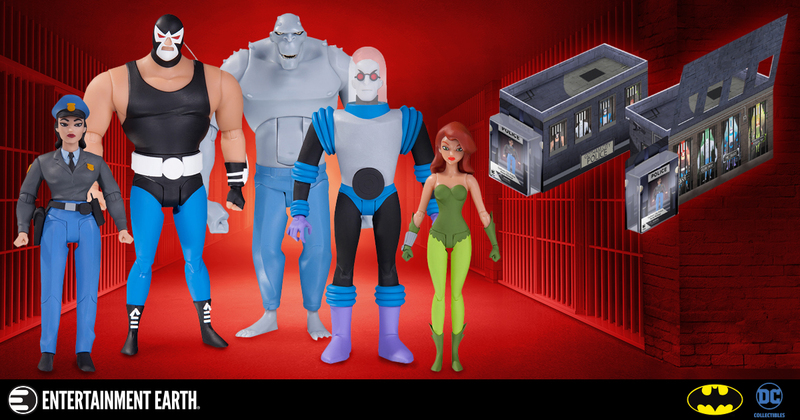 Featuring Batman: TAS versions of GCPD officer Renee Montoya and a host of Gotham’s most wanted that includes the Mad Hatter, Mr. 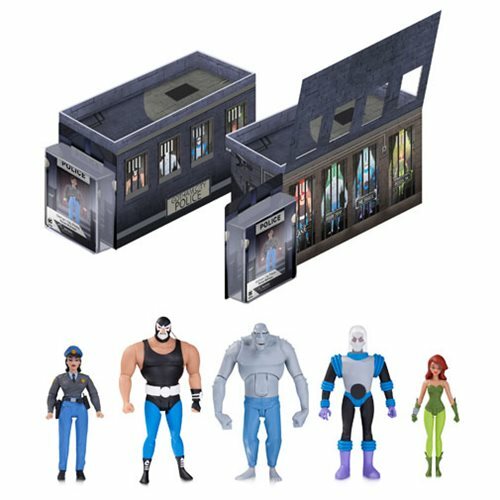 Freeze, Bane, Poison Ivy and Killer Croc, this 5-pack comes with a light-up, deluxe jail cell package that lets you place the 4 villains behind bars or, if you’re really down with the bad guys, you can place Renee in lock-up instead. 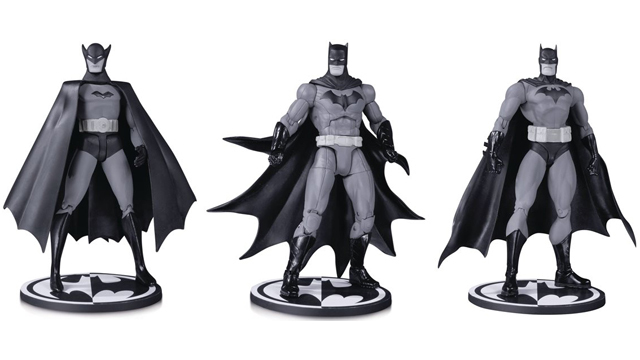 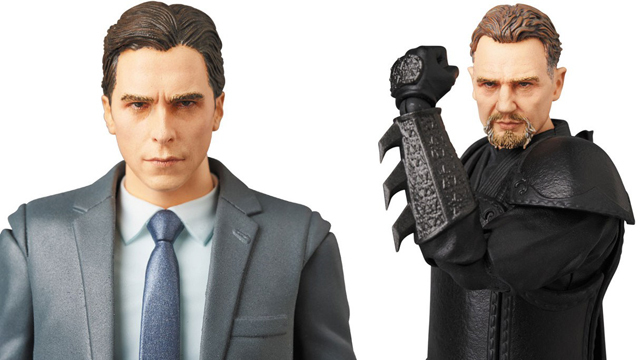 Coming in September, you can pre-order the set from Entertainment Earth for only $149.99 right now.